I planned to post this nail art tutorial since long but never actually got time to write a post. 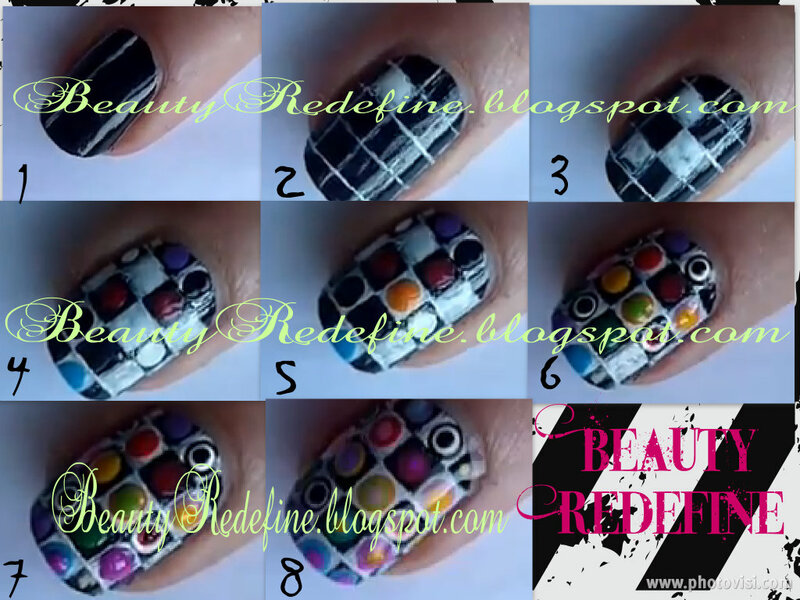 Its one of the nails i posted in Maybelline Newyork competition. 2- Draw Grid-line using white. 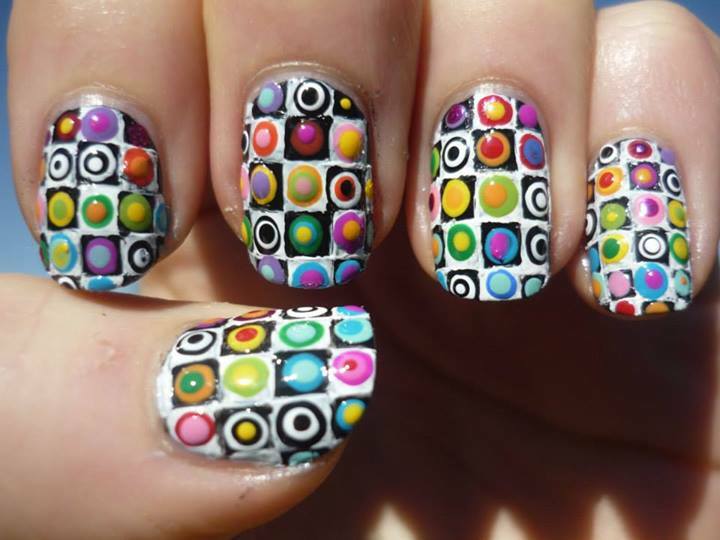 4- Draw small dots in the center of big dots. I used Acrylic Paints to create this design. The advantage with using the paint is you can create ur own colors. 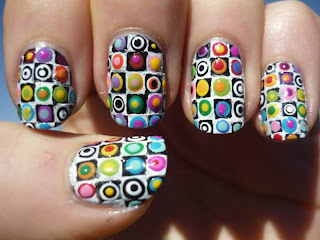 Like if you are following my blog you would be knowing i love to create my own colors :) using nail polishes too. Wow!!! This is awesome!! Really cute! Wow! I think I would totally mess up if I tried this. :) LOL It looks beautiful though, like something out of a modern art museum.